Debra brings a wealth of business and practice management experience to her role as Practice Manager of The Whiteley Clinic Guildford. Originally a trained adult and paediatric nurse, having studied at the Hospital for Sick Children, Great Ormond Street, Debra went on to establish her own training company which she ran successfully for several years. 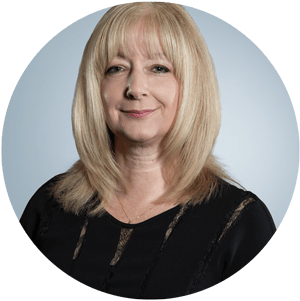 Debra first joined the The Whiteley Clinic Guildford in 2007, as Practice Manager and having developed a keen interest in healthcare regulation, left the clinic in 2014 to take up a position as Compliance Inspector with the Care Quality Commission. In January 2018 Debra returned to resume her role and is responsible for the well-being of all staff and patients within the The Whiteley Clinic Guildford. Debra is committed to ensuring all patients visiting or contacting our Guildford clinic experience the best possible standards of care and treatment. Life away from the clinic is spent in the beautiful Surrey Hills where Debra lives and enjoys walking with her Old English Sheep dog.